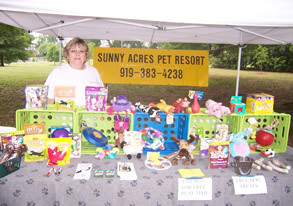 Sunny Acres Pet Resort likes to help pet-related charities. We offer discount boarding rates and free play times and potty breaks to rescued pets waiting for a foster or permanent home. Our specially-trained staff provides a consistent, loving environment to these pets awaiting adoption. Several members of our staff actively volunteer in rescue and animal welfare. We support several rescue groups and attend local events which allow us to get out in the community and meet our neighbors. Look for us at events sponsored by the Durham APS, Durham Dog Park Woofstock, Orange County APS, Beyond Fences, Triangle Beagle Rescue, Independent Animal Rescue, Carolina Adopt-A-Bulls and many others. 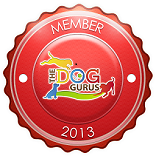 We also offer our facility to Rescue groups for adoptathons and reunions FREE of charge. If you can think of another way for us to help, please let us know!